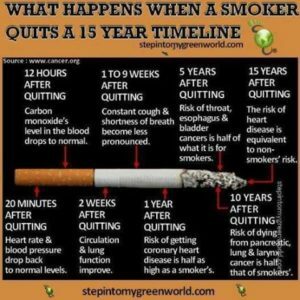 Simple facts with consequences you face if you decide to start or continue smoking. Smoking causes diminished overall heath, such as self-reported poor health, increased absenteeism from work, and increased health care utilization and cost. Smokers are at greater risk for diseases that affect the engine of the body=The heart and its branches=The circulatory system (putting a smoker at high risk for cardiovascular disease). Smoking causes stroke and coronary heart disease—the leading causes of death in the United States. Even people who smoke fewer than five cigarettes a day can have early signs of cardiovascular disease. A heart attack occurs when a clot blocks the blood flow to your heart. When this happens, your heart cannot get enough oxygen causing starvation of food, being oxygen to the heart tissue. This damages the heart muscle, and part of the heart muscle can die, which is what exactly happens with a heart attack where angina (lack of 02 is reversible). Blockages caused by smoking can also reduce blood flow to your skin and legs (For example Peripheral Vascular Disease= PVD). Ever see the commercial with a person telling you to stop smoking with fingers surgically removed or limbs, PVD is what occurred to that individual and the person didn’t stop smoking. Due to this behavior what happened the vessels of the individual’s limbs became so narrowed that it cut off oxygenated blood supply to those tissue parts causing ischemia-lack of oxygen, which led to necrosis of the tissue (death) and the part had to be surgi-cally removed. Now that individual can’t walk or grasp things with those limbs that were operated on. Is smoking worth this consequence? I don’t think so, what about you? Just think about it if you still smoke.Smoking can cause lung disease by damaging your airways and the small air sacs (alveoli) found in your lungs. What actually happens to the lung tissue is the pin point openings (alveoli) keeps expanding to a wider opening. The alveoli is responsible of oxygen and carbon dioxide exchange when we inhale and exhale but with the alveoli stretched the exchange of the gases gets poor. Lung diseases caused by smoking include COPD, which includes emphysema (especially) and chronic bronchitis. Cigarette smoking causes most cases of lung cancer. Smokers are 12 to 13 times more likely to die from COPD than nonsmokers. 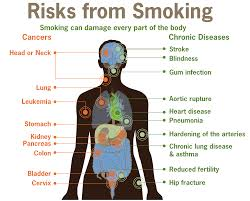 Smoking can cause cancer in almost every area of the body. If nobody smoked, one of every three cancer deaths in the United States would not happen. Smoking increases risk of dying from cancer and other diseases in cancer patients and survivors. Ten years after you quit smoking, your risk for lung cancer drops by half. 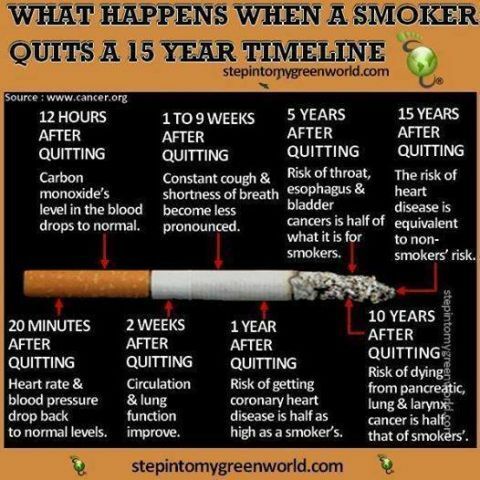 Again, if you smoke you may want to consider stopping; give it a thought. Jenna Ushkowitz (born April 28, 1986) is an American stage and television actress, singer and writer. 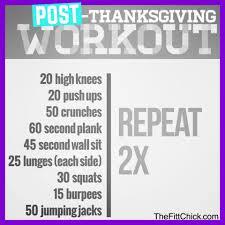 Post Thanksgiving Strategy for the 2 days after gobbling festive food for the turkey holiday and the day after. 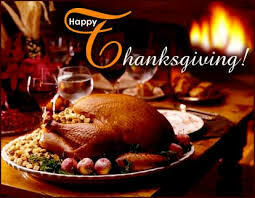 2) Signifies the start of the holiday season which is full of parties, celebrations and special family meals. And unfortunately, most of these celebrations are not serving huge platters of veggies, grilled chicken, hummus and whole wheat pita with fruit for dessert! While an all-day eating holiday like Thanksgiving can wreak havoc on otherwise good eating habits, one non-ideal meal (or day) does not lead to pounds of weight gain. The big issue for many is how to deal with the days following Thanksgiving when we have lots of temptations to keep the celebration going on. Friday (all those leftovers) and Saturday (well I’ve already gone overboard so may as well enjoy myself) and Sunday (I’ll start fresh on Monday) and Monday (I wanted to eat better but my coworkers brought in pie/cake and leftovers!) and . . . you get the idea. Have a “Leftovers” Plan: We tend to run into trouble when we open the fridge the day after Thanksgiving and see tons of tempting foods staring back at us. Creating a way to control leftovers will make sure that we can indulge on our terms, not on our refrigerator’s terms (i.e. I’ve got to eat this pie and half a turkey or it will go bad). The adage still applies, “Out of sight, out of mind, out of stomach.” So if you’re hosting Thanksgiving dinner, send your guests home with care packages containing pie and casseroles. If you didn’t then send some out to neighbors, close family, bring to work or even to church to homeless. You can figure it out. Keep Active: Nothing like falling asleep in front of the football game on TV after Thanksgiving dinner to get our weekend started on the less active foot. A great way to help our bodies deal with extra food is to keep our metabolism high throughout the weekend. Consider a bike ride, jog or workout the day after Thanksgiving into this weekend to keep you motivated to continue exercising throughout the entire holiday season. Check out the 1 hour-tip below for another activity that will let you kill two birds (pun intended) with one stone. Preventing “Holiday Mode”: As previously mentioned, most of the issues with Thanksgiving and the holidays are when we let our celebratory meals spill into the next day, and the day after that. Many people have the the day after Thanksgiving off of work and we often are busy focusing on other activities like holiday shopping so we just go for whatever food is around: usually leftovers or eating out. Being mindful that the food-related Thanksgiving holiday ends on Thursday if not Post day is the first crucial step to setting yourself up for success over the rest of the weekend.Have 1 Minute? Give away unwanted leftovers.Have 5 Minutes? Plan a healthy Black Friday weekend.Have 15 Minutes? Portion your leftovers.Have 60 Minutes? Work out by cleaning up. Sometimes the issue is not about what the leftovers are, but more how much of them are left. 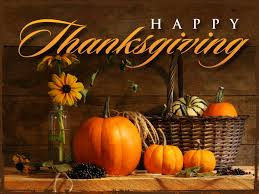 Spend some time Thursday night or the night after or this weekend putting the left over thanksgiving food in portion leftovers for future balanced meals for Friday and the rest of the weekend so you do not become tempted to take extra-large helpings or only eat lots of your favorite food. Freeze some leftovers too so you can enjoy them throughout the holiday season and not feel pressured to eat them all within a few days. Plan a healthy day of eating for this weekend by writing down what you ate, from breakfast to your after-dinner snack. This will reduce that chance that you miss a meal or become tempted to eat something that is out of your routine. If you normally eat breakfast, do not skip it on Friday. Remember some of the keys to balanced meals: lean protein, complex carbs, plenty of fruits and veggies and healthy fats (avocado, olive oil, nuts, salmon, etc.). Consistency is key: make sure you eat on Friday the same way you ate the month, week and day before Thanksgiving. Create a leftover delegation list with each family or person coming to Thanksgiving and the associated foods you will send them home with. Ask guests to bring their containers with them or make sure you have enough that you don’t mind parting with. About the author: Jason Machowsky, MS, RD, CSCS is a registered dietitian, certified personal trainer. 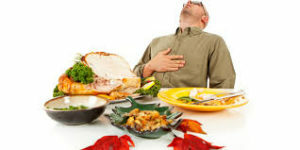 What happens to the body after a traditional Thanksgiving meal and more! We’ve made countless jokes about our “Thanksgiving pants“ and planned belt unbuckling as we prepare to indulge in a big meal on Thursday. And, in case you missed it, we’ve also done our best to calculate the number of calories we might consume if we don’t rein it in a little bit. But what actually happens to your system when you overeat during the holidays? Uncomfortable how? Well, as the stomach gets more distended from overeating, the growing pressure is relieved by releasing gas — that means some people will experience acid reflux and the urge to belch. Kuemmerle suggests thinking of the stomach as a balloon: It has some elasticity, but eventually reaches a breaking point and must relieve pressure. Our bodies have a natural stopping point, but the brain is capable of overriding the stomach’s wishes to stop eating. That’s particularly true during a holiday meal, where variety and abundance are prized. “There’s some suggestion that a wide variety of food, like at the Thanksgiving meal, tends to increase food intake,” says Hurley. This is often referred to as the “smorgasbord effect,” according to the Columbia University Press. It turns out the expression “feast your eyes” is pretty dead on. As soon as you sit down at the table, the sight and smell of the food sends a signal to the brain and then down to the stomach to prime your digestive system for the meal, according to Kuemmerle. As you eat, your stomach stretches and secretes acid and digestive enzymes to help digest the food. Once you get to a point where your stomach feels full, stretch receptors — a collection of sensory nerves in the stomach — send messages to the brain to tell it that it’s time to stop eating. Once your body determines fullness, the stomach grinds the food down into two to three millimeter pieces — small enough to fit into the small intestine. As the stomach does this, it begins to contract and reestablish its tone, while pushing the ground up matter and digestive liquid through the pylorus and into the duodenum, which is the upper part of the small intestine. This process can be slowed, depending on what you ate. “A high fat meal with gravy and butter delays emptying of the stomach because fat is harder to digest,” says Kuemmerle. 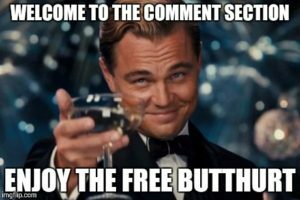 In other words? Your stomach’s ability to efficiently process its contents may rely on how much butter your Aunt Mable put in those mashed potatoes. This can delay stomach emptying, which is an important step of digestion because the food’s presence in the small intestine signals the release of important enzymes from the pancreas and galbladder. These pancreatic enzymes and bile help to digest carbs and proteins and emulsify fats, breaking the food down into amino acids and simple sugars to be absorbed into the blood stream. The release of sugar in the blood stream triggers insulin, the hormone responsible for regulating blood sugar. Insulin and another hormone glucagon will store some sugar in the liver as glycogen (some fat is also stored in the liver). Every cell of your body requires glucose and muscles also requires a store of glycogen. What the body doesn’t use for these functions will be sent to fat tissue to be stored as fat — either subcutaneous fat or abdominal visceral fat. Next, the body performs a really fascinating self-cleaning maneuver: As the matter continues into the colon (where water is reabsorbed and some additional nutrients are absorbed, according to Kuemmerle), the interdigestive period begins. All of the “indigestible material” — the detritus that didn’t make it through the first time — gets pushed through. The pylorus opens widely and the bigger stuff gets swept into the colon. A gallbladder contraction allows the pancreatic duct to get cleaned out. It is, Kuemmerle explains, a form of housekeeping to prep the body for the next meal. Wishing all a Happy Holiday!